In Myanmar, one in five young people ages 10 to 17 go to work instead of school. Of the nearly 9 million youth in Myanmar who do attend school each year, fewer than 300,000 make it to eleventh grade. And only 30% of those eleventh-grade students manage to pass the required exams to complete secondary school. IREX recently surveyed more than 100 youth to identify how best to equip them for a 21st-century economy and to address the skills needed in Myanmar’s fastest-growing sectors. Over the long-term, Myanmar’s ongoing education reforms aim to reduce dropouts and keep kids in school—but in the meantime, millions of young people risk missing out. 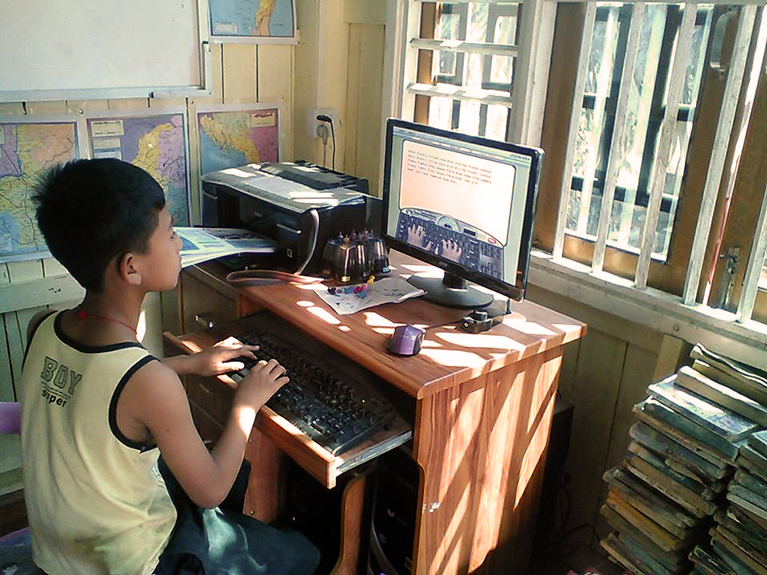 As Myanmar’s ambitious new National Education Strategic Plan takes root, IREX’s Beyond Access project and Myanmar Book Aid and Preservation Foundation (MBAPF) are exploring new, technology-enabled ways to support the Ministry of Education in serving out-of-school youth. But before any programs are designed to address this, it is important to have data to inform decisions. This year, IREX and MBAPF surveyed 128 youth ages 13–18 in Yangon’s Hlaing Tharyar Township to help ensure that new initiatives are designed based on accurate knowledge about youth’s lives and the conditions in which they live. Ultimately, new programs should equip out-of-school youth for a 21st-century economy, provide opportunities that youth seek, and align with the skills that Myanmar’s fastest-growing sectors need. Existing research shows that reintegration into formal education is more appropriate for younger kids, and they often need different skills and different types of support than older kids do. Our study focused on older youth, who are not typically interested in returning to formal education and who may need to continue earning the income that they and their families depend on. Most survey respondents were employed, working for themselves, at family businesses, or at larger companies, including factories. Respondents were roughly proportional between boys and girls. About 90% of employed respondents work at least six days each week, while half of them work every day. 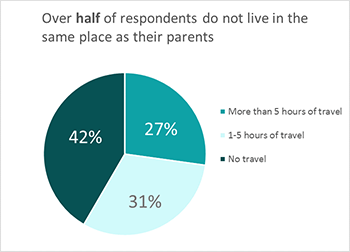 A third of all respondents said their typical shift exceeds 12 hours. More than half of the respondents have not completed eighth grade. More than a quarter have not completed sixth grade, and about half of them dropped out of school within the last three years. Most respondents don’t intend to return to formal education, but 95% of them are willing to dedicate time to studying if a training program were suitably adapted to their needs. Respondents think that English, math, and computer skills are most important to improve their job opportunities. About half of respondents own a mobile phone, and most of those mobile phone owners have a smartphone. The rest have a basic mobile phone or feature phone. Education needs, availability, and key growth sectors (among many other factors) will vary significantly for different age groups, genders, and geographies. Before designing any education program for out-of-school youth, it’s vital to first conduct regional or community-level assessments to understand how these factors play out. To that end, it’s particularly important to learn how much income youth send back to their families and how much income they would be willing to forego while pursuing new skills to improve their employment opportunities. A full-time training program that requires youth to quit work and that provides no financial support will not help most out-of-school youth because they will not be able to participate. Programs also must engage employers to avoid a mismatch between the skills that programs teach and the skills that employers want. This study focused on understanding the skills that youth seek. We also recommend surveying employers and associations that represent Myanmar’s fastest-growing sectors, and then tailoring those assessments to specific regions and communities. This will ensure that new training programs teach the most relevant, practical skills instead of creating a new, ineffective system in parallel to formal education. Programs to support out-of-school youth are not long-term solutions. Myanmar’s formal education system needs to provide the kind of quality, relevant education that is worthwhile for the country’s youth through teacher training, developing quality learning materials in all of Myanmar’s languages, leveraging technology and community institutions, and more. But in the near-term, there is a need for realistic, suitable education alternatives for youth who find themselves outside the formal school system.